When designing a house, attention should be paid to the truss system. 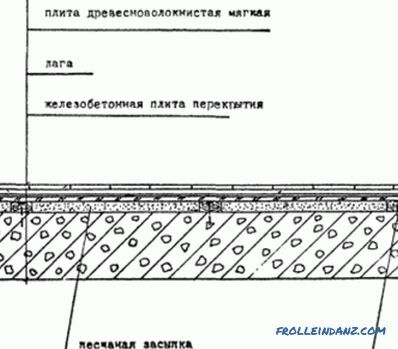 The so-called plan of rafters is necessarily compiled, which includes all the features of the construction of the structure, the step of the rafter legs and other moments necessary for building a reliable and durable roof capable of withstanding the design loads. 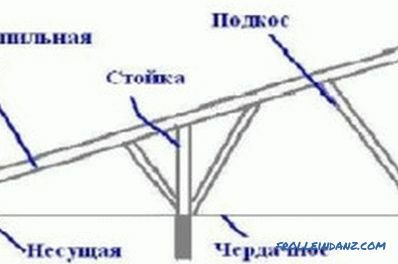 if the listed data are available, you can proceed to the plan of the truss system. the presence of internal supports. Suspended rafters are used for houses, where the average is taken as a bearing wall. 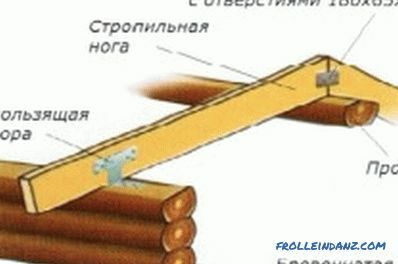 The rafter design includes 2 rafter legs, a mauerlat on which they are supported from below, and a ridge girder for support from above, as well as racks. Racks are mounted on a log, it is placed on the inner supporting wall, which makes it possible to properly distribute all the loads. If there are no internal walls, then the support falls on columns or columns, the pitch between which is 6.5 m.
Suspended rafters are used when internal supports or walls are completely absent. In this case, the truss legs will only rest on the outer walls. The structure itself includes the rafter legs themselves, a horizontal bar in the form of an extension. The lower ends of the bars rest on a special mauerlat over the wall, it allows you to distribute the load evenly. Such rafters can provide overlapping space of 7-12 m. Girders are used for reinforcement. The production of hanging trusses is more complex than slats, which is why the latter are used much more often. The cost of hanging rafters is higher, but in some cases only they can be used. 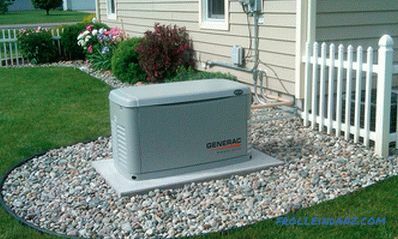 Combined systems can be used to reduce costs. 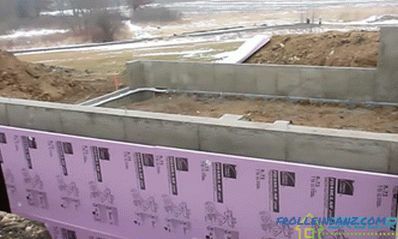 This makes it possible to make construction simpler and more economical. What does the truss system plan include? The first are applied modular coordination networks, they allow you to bind all the data on the construction of the truss system to the main walls of the future house. The plan draws all the ducts of the ventilation and smoke system, pipelines, which during construction will go out through the truss system. A plan is being developed for a future selected form of roofing. In drawing up the sketch, it is necessary to take into account the location of the walls. The following elements are surely indicated on the diagram: roof edges, valleys, ridges, etc. It is necessary to take into account what form the slopes will take, the direction and angle of the slope. The drawing indicates the location of gables, dormer windows, if any. racks with longitudinal struts guaranteeing the spatial rigidity of the entire roof system (in the drawing such elements must be displayed as a dashed line). When making rafter legs from bars, the pitch is 150-180 cm. When making rafter legs from edged the pitch is 100-120 cm. It is important that the plan shows the ventilation outlets of the pipes, as reinforcement of the structure may be required. In some, you need to cut the rafter leg to pass the pipe, and install the remaining ends on special wooden lintels that will be between the adjacent legs. For fixture in this case is used gash. 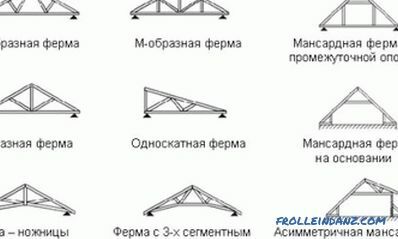 Diagram of the truss system. For a four-sided roof or another configuration, gables in the gables provide small dormer windows to ensure proper ventilation of the attic space, especially in the warm season. 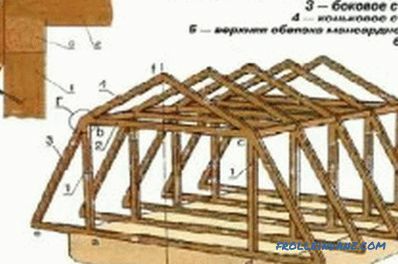 For example, for a four-sided roof, it is necessary to display on the plan of the rafters diagonal sticking trusses, the women resting on them. It is important not to forget about the dormer windows, which will be located on the hips. 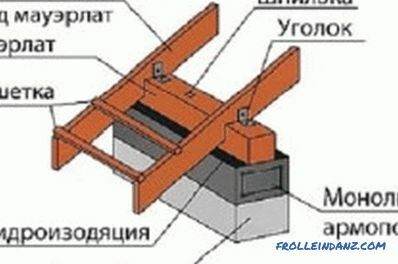 If it is planned to construct an attic dwelling, then the upper beams for wall piping should be displayed on the plan. They will serve as a support for the rafter legs of the whole structure, providing the necessary strength and reliability of the roof. The design scheme is always carried out simultaneously with the development of plans for all structural sections of the building. This allows you to link them together, to ensure correct and clear design. As a result, each node will be clearly connected with the others, the design will be stable and reliable. The project should have the affixed values ​​of the axes of all building elements and the construction of the truss system. The axial parameters are attached data on the thickness of the walls, dimension lines are drawn on the project, which are performed to determine the pitch for the timber. Inside indicate the distance between the individual racks, chimneys. Be sure to enter the value of the cross sections for each element. Making a four-slope roof plan, or any other, is imperative when designing a house. Rafter system is one of the most important elements of the house. It depends on how correctly the drawing is drawn up and the calculations are made, whether the construction will be durable and reliable. Therefore, it is best to draw up such a plan to entrust specialists, and not rely on their strength in the absence of adequate experience. How does a floorboard differ from a laminate? Information on how the laminate differs from the floorboard. 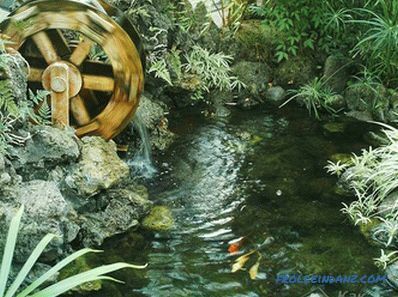 The main characteristics of the laminate and floorboard features. 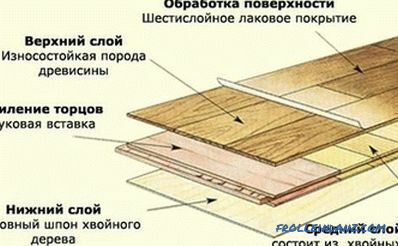 Overview of the main differences and shortcomings of the floorboard and laminate.